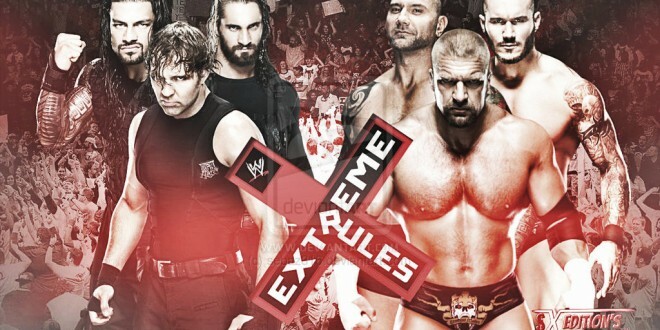 Extreme Rules 2014 has been concluded and we do have surprise winners. WWE is all set to embrace the new era with the lights of Daniel Bryan, Bray Wyatt and of course the halls of justice “The Shield” taking over the pillars and old guns Kane, Triple H, John Cena and Randy Orton. Cesaro def. Rob Van Dam and Jack Swagger by pinfall. Alexander Rusev def. Xavier Woods and R Truth by submission. The Shield def. Evolution by pin fall. Steel Cage match: Bray Wyatt def. John Cena by escaping the cage. Divas Championship match: Paige def. Tamina by submission. WWE World Heavyweight Championship match: Daniel Bryan def. Kane by pinfall. Previous: Walking helps in Creative Thinking! Next: Roger Federer Blessed with Twin Boys! Denver Broncos Game Chaos - Multiple people stabbed! How to avoid secondhand smoke?